Completing, or just even creating a strategic plan is on your to-do list, right? But is it slipping lower and lower down the list? I know that feeling. And don’t worry, you’re not alone! Completing your strategic plan and maintaining momentum with implementing it is arguably one of the most important things you have to do. Creating momentum in your life, just like in business, takes increasing the things that move you forward on decreasing those that hold you back. Sounds like a snap, but we all know that living the life we desire is not always easy to achieve. We have habits and cycles to overcome. But by creating momentum, we can move past those and toward the life we want. Momentum, by its nature, requires a lot of upfront push to get the ball rolling. 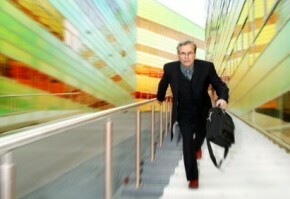 Here are ten tips to jumpstart the momentum in your life and strategic plan. So what does success look like for you day to day? How do you want to define success for yourself this year? Write your vision down and post it somewhere you will see it every day. You ask what a BHAG is? In case you missed it in previous chapters, it’s a big, hairy audacious goal you want to achieve this year that will help you step into your vision of success. So what is your BHAG? Write it down along with the one thing you can do today to make it happen. Here is an example of the power of a written goal: A study was conducted among a graduating class at Harvard to see how many had concrete goals around how much money they wanted to make. Only 3 percent had written their goals down. Ten years later, that same 3 percent were making more than the other 97% combined. Now that is power! Before another minute goes by, put some thought into your BHAG and get it down on paper. Energy drains are those things that drag you down. And when you’re dragged down, you’re probably not putting too much effort into your planning process, now are you? Recharge your energy with anything that inspires you and puts you in a good mood, like an organized desk, an afternoon off to enjoy family or good weather (or both together for that matter), or lunch with a colleague. Spend time doing the things that give you energy and stick a post-it note next to each drain you identify with an idea for getting rid of it. You’ll find you have more spring in your step and can focus a little more clearly on those action items that will help you reach those strategic priorities. The greatest source of procrastination is often a deep-seeded fear—fear of success, change, failure, ridicule, or even just the unknown. Take a daily step to remove your fears by asking yourself every day, “What would I do today if I was really brave?” Consider Brian Tracy’s book, “Eat That Frog,” which provides the 21 most effective methods for conquering procrastination and getting more done in less time. Success comes by identifying that single most important task, or frog, that needs to be accomplished, concentrating on it to do it well and finishing it completely. As Tracy points out, “Mark Twain once said that if the first thing you do each morning is to eat a live frog, you can go through the day with the satisfaction of knowing that that is probably the worst thing that is going to happen to you all day long.” So go ahead, be brave and eat that frog! Do you feel like you’re on a treadmill, working more to pay for ever increasing bills? It seems like although the more we work, we don’t always have increased revenue. Instead, trim the fat and spend a little less here and there. You’ll soon free up some budget dollars that you can utilize on securing needed resources that will help you in managing a successful strategic plan. Or, if there’s enough savings, start an employee incentive program if you don’t have one already. Start by running a P&L report to see exactly how you are spending your money. Then adjust your budget, making sure what you purchase is in line with your business. Obviously a business with a big focus on sales would incur more expenses for client lunches than one without. Consider decreasing every category (except maybe your rent and payroll) by 10%? Use the money saved to fuel your dreams instead of feeding the treadmill. Identify a handful of people in your life who you trust to help you move your life forward. Consider pulling from a wide range of backgrounds, ages, experiences, and opinions. Mentors are a great source of guidance, often being the most critical and providing you the best insights. Call on them together or individually to help you move past any roadblocks and keep the momentum going. Even if there are no pending issues or questions that need immediate attention, continue to meet with them and maybe spend some time focusing on those tabled items that always come up in discussion but haven’t been addressed. Or meet without an agenda. You might have an enlightened conversation giving new thought and energy to your plan. One of the biggest challenges to having the life we want is finding the time to do all we want to do whether it’s at the office or at home. But let’s admit it, each affect the other. Track how you spend your time for a week. At the end, tally up the time spent on each thing – such as meetings, paying bills, preparing reports, checking e-mail, running errands, etc. Look at each category. What things can you do to cut time in each area? Maybe if you struggle with preparing meeting agendas or keeping up the books, pass the task off to someone who is better suited for the job. Or set up your spam filter or organize your inbox to make it easier to sift through the e-mails. Be creative and you’ll soon free up time that will allow you to focus on what’s most important, like your planning and execution process. Overlooking the short-term successes because you’re looking at the mid-term or long-term horizon is an easy trap to fall into. Because strategic management is a process and an organizational journey, help your staff members stay motivated by acknowledging their progress along the way. The obvious time to highlight progress is when you’re reviewing your plan during your monthly or quarterly strategy reviews. Call out the small wins by specifically identifying what was accomplished, why it’s important tp the strategic direction, and how the success was achieved. Additionally, point out small wins as they occur so everyone can feel the continued momentum. When the flywheel of momentum starts to turn, pay attention to clues, connections and opportunities that are presented. Be aware of environmental shifts and market changes that will affect your organization. With a little agility, allow your future to unfold and change in ways you might not have been able to imagine when you started your planning process. Remember, your strategic plan is a work in progress. Have a goal in mind but be flexible on the process of getting there. It will make the process much easier. No matter what your organizational goals are, or how difficult they’ll be to achieve, creating momentum to reach them starts with commitment. Be committed to the strategic management process by starting with at least one of the ideas above and you’ll begin to move closer to your dreams. Then take on the next idea, and then maybe another one. Borrow some encouragement from that famous shoe slogan, and just do it! You’ll be happier in the end and will be glad you did it. Good work. Keep on it!. Thanks.